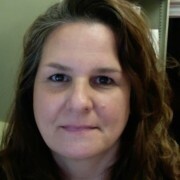 Michelle Dukich, who has also published under the name Jana Dudukovich, is a data management consultant for HRDAG. She is a record linkage expert responsible for data cleaning, canonicalization, and matching. Ms. Dukich has co-authored reports for Kosovo, Chad, Sierra Leone, and Timor-Leste and worked on projects in El Salvador, Colombia, Sri Lanka, Peru, and Guatemala. She attended the College of Wooster in Ohio.